Whether you live near the tech center and ASU, or off I-10 and Baseline – when you discover damage to your roof, quickly completing roof repairs in Tempe can save you a lot of money. 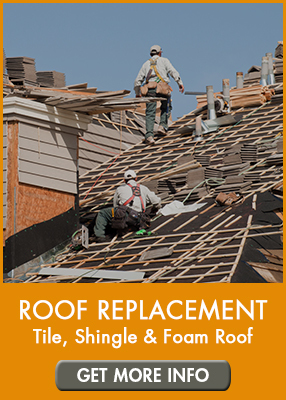 Homes and light commercial properties in Tempe are topped with several different types of roofs – from elegant flat or foam roofs to shingles and tile. 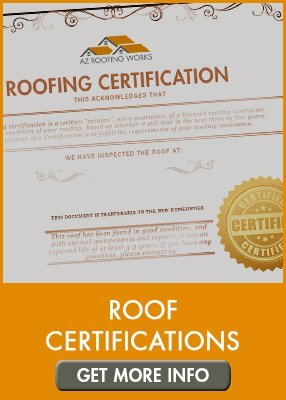 Regardless of the type of roof you have, when repairs are needed, you can count on the professionalism of AZ Roofing Works to complete your roof repairs in Tempe quickly, efficiently, and always with a focus on quality. Headquartered in nearby Mesa, AZ Roofing Works is a licensed, bonded and insured roofing company, that has served Tempe residential and light commercial property owners with superior roofing services. Our locally-owned roofing business provides home owners, real estate agents, and property managers with high-quality roofing repair solutions by leveraging our dedication to quality over quantity, our extensive knowledge, and proven results. Our team is prompt, polite, and professional, making sure to place your safety and properties integrity and focus on superior craftsmanship. Corrosion: Tempe deals with excessive winds and blowing sand. Over time, the blowing sand will cause corrosion and lead to thin or worn out tiles. When they become too thin, they will require replacement to avoid damage to underlayment materials. Older homes in Tempe are usually topped with shingle roofing materials – either made from asphalt or polymers. Shingles are lighter and less durable than most other roofing materials which unfortunately makes them prone to damage sooner than most. Noted below are a few of the most common sources of shingle roofing damage. Flat or foam roofs are known for producing an elegant look and style. They are also incredibly energy efficient. The drawback is that the lightweight construction can lead to damage or sources of repairs. 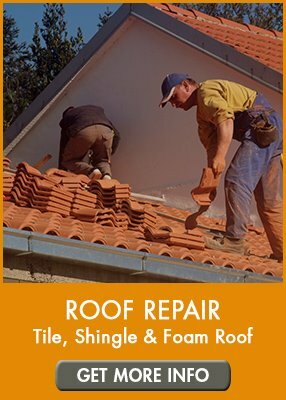 If you are in need of any roof repair service in Mesa, Chandler, Tempe or any other Metro Phoenix location, AZ Roofing Works is ready to help you! Contact us today, either online or call our office directly at (602) 283-3383.